Incandescent bulbs have been the standard for household lighting for decades. Now, however, many people are making the switch to eco-friendly LED bulbs. 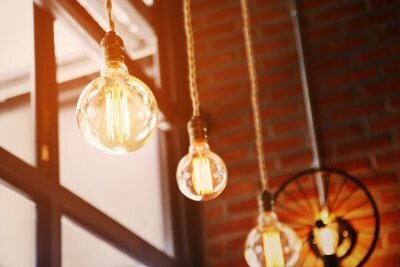 If you’re looking for ways to save electricity in San Jose , then watch this video for some light bulb buying tips that can help make your home more energy-efficient. LED light bulbs cost more than incandescents, but they last longer and use less energy. To find the right bulb for you, you will need to understand that lumens describe how bright a bulb is. Also, it’s important to know what temperature means in terms of lighting. Bulbs at the low end of the temperature spectrum have a more yellow color and are considered warm, while bulbs at the higher end have a bluer color and are called cool. You may be glad to learn that you can find LED bulbs at both ends of the color spectrum. Have You Considered These Energy-Saving Home Upgrades? With winter drawing nearer, many homeowners are wondering what they can do to avoid high energy costs during the coldest season of the year. If this sounds like you, and you’re looking for ways to save electricity in San Jose , then keep reading to learn about some energy-saving home upgrades that are worth considering. If you’re still using incandescent light bulbs, then making the switch to energy-efficient LED ones is an easy way to save on electricity in your home. LED lighting is the smarter choice when it comes to home lighting because it uses less energy and lasts longer than other options. 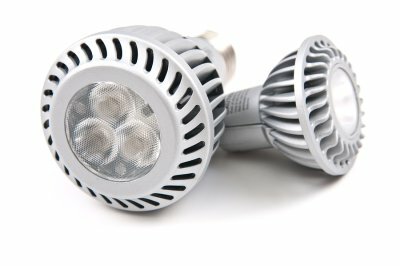 Plus, LED bulbs contain no mercury, can be dimmable, and have a higher color rendering index, meaning that colors under this type of lighting are more likely to appear the same way that they would under natural sunlight. When they want to save electricity, many people focus on upgrading to energy-efficient appliances. While this step can indeed reduce your energy usage, it’s important not to overlook the advantages of replacing your old thermostat. Today’s programmable thermostats can be programmed to automatically change your home’s temperature settings, making it easier for you to keep your home comfortable and simultaneously save on energy. For example, by setting your thermostat to go up or down by a few degrees when your family is asleep for the night or gone for the day, you can potentially put a nice dent in your home’s energy bill. Many people put a lot of effort into sealing up their home to save on heating and cooling costs. If you have taken measures to insulate your house but haven’t addressed your wood-burning fireplace, then you might benefit from switching to a gas-burning one. Converting to a gas-burning fireplace can help reduce air loss through your home’s chimney, which can lead to lower home heating costs. Lastly, gas fireplaces are cleaner and easier to use than wood-burning ones, making them a practical, energy-saving upgrade for your home. The summer season is nearly here, and now is an important time to make sure that your home’s ceiling fans are fully operational. Just as you set up regular maintenance for your fireplace before the start of winter, it is equally important to schedule routine tune ups for the ceiling fans that cool your home. Fortunately, the same fireplace contractor that maintains your fireplace near San Jose can also take a look at your ceiling fans to ensure that they are full operational. If you are wondering whether it is time to call your contractor, take a look at these three signs of a ceiling fan problem. When your ceiling fan is operating correctly, it should spin without making too much sound. While certain gentle noises are typical for any ceiling fan, unusually loud sounds should provide you with cause for concern. 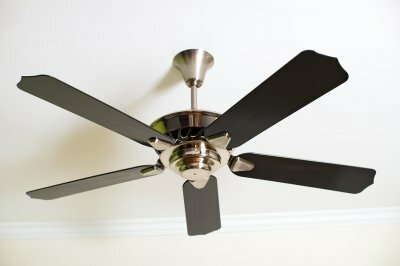 In some cases, ceiling fan noises may be caused by improperly connected wires and switches. A certified contractor can disassemble your fan plates and determine whether a wiring issue is causing your problems. In the event that your ceiling fan gets off balance, its blades may start to wobble as it spins. Eventually, a wobbling ceiling fan could be at risk of falling from the ceiling and putting you and your loved ones at risk of harm. With services from a ceiling fan and electrical contractor, you will be able to make sure that you fan is evenly and firmly screwed into its bracket housing. If your ceiling fan fails to turn on altogether, you may have a more significant electrical problem on your hands. To troubleshoot this issue, you can start by checking the fuse that supplies electricity from your electrical box to the fan’s wiring. If the circuit breaker has not tripped, it is necessary to contact your electrician for repairs. A new wiring installation may be able to restore function to your ceiling fan. Are you planning to give your home’s interiors an update with new lighting in San Jose? If so, then you have a wide range of lighting styles to choose from that can give your décor a more modern and up-to-date appearance. One popular type of light for this purpose is called Monorail or track lighting. Continue reading to get the facts about these light fixtures. Monorail lighting is incredibly useful and involves a series of lights that are attached to a long fixture. This type of lighting provides you with a way to install lighting anywhere along the run of the rod. Then, you can point the lights in the direction of your choosing, allowing you to do things like highlight a favorite painting, illuminate a shadowed corner of the room, or direct light precisely where you need it on your desk or work table. Monorail light fixtures usually run on 12 volts and require transformers, which are available in retrofit options and those that can be installed in an attic. If you have seen or heard of track lighting before, then you may be familiar with a long, straight fixture to which a series of lights are attached. Monorail lighting takes traditional track lighting to a new level by offering more flexibility and customizability. Using your hands, you can bend Monorail light fixtures into the freeform shape that you desire and still retain the ability to place lights anywhere along its length. If you decide that Monorail lighting is the right choice for your home, then you will be happy to find that this lighting style comes in a wide range of sizes and varieties. Many homeowners choose to install several artistic glass pendant lights in place of a chandelier to illuminate a dining room table or kitchen island, and there is no shortage of selections when it comes to fixture and shade colors and styles. What Color Should You Pick for Your Fireplace Mantel? A fireplace can make your home feel warm and welcoming while providing a focal point and acting as room décor. Are you planning to contact a contractor in San Jose about new fireplace mantle installation ? If so, then continue reading for ideas on choosing a mantle color. The overall look that you’ve created in the room should impact your mantle color choice. Examine the space and search for a common color, motif, or theme that represents your personal style. Doing this can be essential for maintaining your desired impression for the space because not all colors work with all décor types. If the room you are working with has any colors other than neutrals, then consider pulling out a color wheel and experimenting with complementary hues. Choosing yellow to complement a purple sofa, for example, or orange to balance a blue area rug, can help bring out the best of both elements. If your home’s décor is eclectic, bohemian, or modern, then choosing a bright color can be a great choice for your fireplace mantle. Neon pink and electric blue will make an unforgettable impact on guests, and hues like pure red and bright yellow can brighten a room and create a lasting impression. If you’re hoping to create a streamlined or built-in look for your mantle, then you could benefit from matching its color to that of your walls. 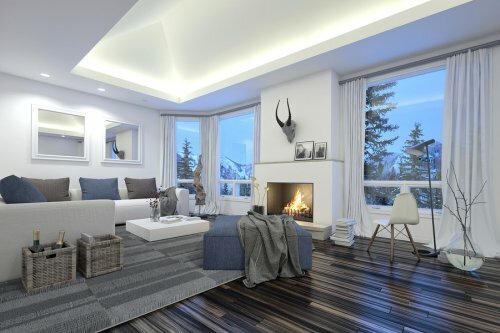 This technique can give the fireplace a grander appearance while simultaneously creating a seamless backdrop between the 2 elements. If you’re still having trouble choosing a color for your mantle, but you are happy with the design of the rest of the space, then look to other features in the room for inspiration. Choosing a color for your mantle that’s subtly included in your draperies, area rugs, or furniture can help tie the design together. This method of selecting a color is an excellent way to incorporate your fireplace into your interior design. Your fireplace can have a big impact on the look of the room in which it’s featured. Are you unhappy with the appearance of your fireplace in San Jose ? If so, then watch this video for tips on giving your fireplace mantle a facelift. Start by examining the size of your mantle compared to the rest of the room. If parts of it stick out more than you would like, then consider making the hearth narrower or flush with the flooring. Next, choose a streamlined look if you want the fireplace to appear more modern and new. Finally, think about how you would like to decorate the top of the mantle when settling on a design. A fireplace is at the heart and soul of any living room. Whether you are purchasing a new gas fireplace, or you are building a new conventional fireplace for your home, you will want to make sure that you adorn your new fireplace with a mantle that is both beautiful and functional. A fireplace contractor in San Jose can provide you with a tour of some of the mantel styles that are available for your home. From sleek, contemporary mantels to rustic mantels that feature classic designs, you will have a range of options to pick from during your installation. 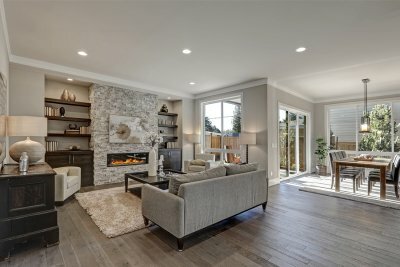 Here is a look at some handy tips that will help you pick a unique fireplace mantel for your home. When you are picking a fireplace mantel, it is important to select materials that represent the overall style and décor of your living room space. Some popular materials that can be used for mantel installations include wood, metal, and natural stone. By selecting a gorgeous material for your mantel, you can make a stunning statement with your fireplace design. Size is another factor that can be incorporated into your unique mantel installation. An oversized mantel, for example, will become a focal point for your room. If you choose a smaller mantel size, you can ensure that your fireplace blends in with your furnishings. A fireplace contractor can help you design a mantel that is appropriately sized for your interior space. 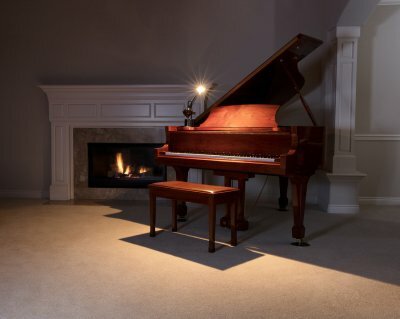 Ultimately, the uniqueness of your fireplace comes down to its overall style. Ideally, you will want your fireplace to feature styling cues that match your interior design scheme. If you have a very contemporary home, you may want to create a fireplace mantel out of sleek metal or natural stone materials. A natural stone mantel can be decked out with custom grout work and other beautiful design features. Once you have selected styling cues that match with your vision, you will be ready to start building your custom fireplace.